Because we PREFER to work with the world’s leading airlines, you can be sure your flight experience will be second-to-none. And thanks to over 20 years of experience with many of our flight partners we are able to negotiate excellent discounts on worldwide fares. Rediscover the romance of flying once again. Step into a place where exclusivity is made more personal, where space can liberate your senses and the level of comfort will soothe your mind and body. 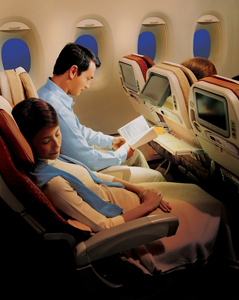 Experience the new Singapore Airlines. The most spacious the world has ever seen. A wide seat, a fully flat bed, an office, an entertainment multiplex, a gourmet restaurant… whatever you wish. Our new Business Class seat liberates the individual with more room than ever. Measuring 30 inches wide, it combines enhanced personal space with comfort and leading-edge innovations. The latest entertainment, including Audio-Video On Demand, is unveiled on your 15.4-inch personal widescreen LCD. Bringing you high fidelity sound in quiet comfort along with the latest in noise-cancelling technology. If you need to get work done, a centralised, all-in-one Business Panel features in-seat power supply and 2 USB ports. Now you can access built-in office software that allows you to create documents, spreadsheets and presentations, without the use of a laptop. 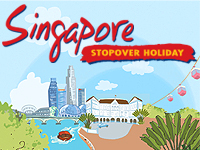 It’s another first from Singapore Airlines. With more comfort comes freedom like never before. Our new Economy Class has an abundance of innovations that were conceived after intensive research into the preferences of seasoned travellers. A personal entertainment screen 10.6 inches wide provides an endless stream of exciting 3D video games, as well as the latest movie releases and acclaimed TV shows with something for all ages and tastes. In-seat power supply is also available. As well as built-in office software, to create documents, spreadsheets and presentations effortlessly.